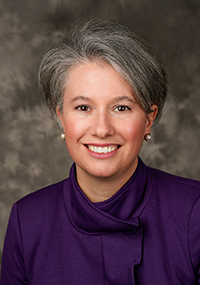 Culver Scales is executive director of development for Duke Children's. She oversees the major gift program and works with physician faculty in the Department of Pediatrics to secure resources for research, education and clinical care for Duke Health's youngest patients. Culver's tenure as a fundraiser at Duke Health Development has spanned more than thirteen years. Prior to her current role with Children's, she worked with adult specialties and School of Medicine alumni. In addition to her Duke experience, Culver's development career has included positions at Georgia Tech and independent schools in Atlanta and Los Angeles.